Mayoor School, Ajmer is affiliated to the Central Board of Secondary Education till March 31, 2020 (Affiliation number 1730037). CBSE is a progressive School Education Board in India which aims to provide quality education to the learners so that they can assume key roles in the knowledge society. 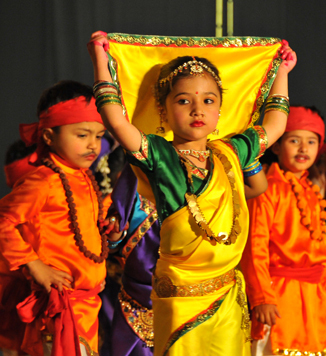 CBSE is committed to make the learners competent in intellectual, social and cultural aspects. The Board has devised a Continuous and Comprehensive Evaluation framework to enable holistic development of confident and ingenious future citizens. Cambridge Assessment International Education (CAIE) is the world’s largest provider of international education programmes and qualifications for learners aged 5 to 19 in more than 9000 schools in over 160 countries. The mission of CAIE to deliver world-class education is achieved through curriculum and assessment support to the schools. Latest Academic Research is undertaken to prepare and deliver high-quality teaching resources. DISE is a national system which has been designed and developed so that national data is available at three locations i.e. at the Ministry of Human Resource Development, Technical Support Group (SSA) and NUEPA. The database is expected to serve the needs of diverse users in the SSA, MHRD and other professionals engaged in educational planning and research. Mayoor School Ajmer is a member of NPSC. The National Progressive Schools' Conference is an association of senior secondary schools across India which started in the year 1973. One hundred fifty leading private schools affiliated to CBSE are members of NPSC. The motto of the organization is ‘Quality, Commitment and Excellence’ in Education. NPSC undertakes collaborative work to effectuate qualitative changes in education in India and covers teaching learning practices, policy making, scholastic and co-scholastic initiatives and reforms in education. NPSC collaborates with Government Organisations in the field of education like the National Council of Educational Research and Training, the National University of Educational Planning and Administration, the Indian Institutes of Management and the Indian Institutes of Technology, Central Board of Secondary Education, DOE, Govt of NCT and other National and International Agencies. Mayoor School Ajmer is a part of the Gateway Programme of Murray Edwards College, University of Cambridge under which a few college students undertake student teaching internship at Mayoor. Mayoor School Ajmer is Kean University’s partner school in India for the STARTALK Hindi Program. Mayoor School, Ajmer has been involved in British Council Programmes and Initiatives that include Connecting Classrooms, Dreams and Teams, Global Teacher Accreditation, International Internship, Gen-UK Host a Teaching Assistant from UK. Mayoor School Ajmer has been a recipient of British Council’s International School Award (ISA) consecutively for making efforts to embed internationalism in curriculum. The School has received ISA 2007-2010, 2011-2014, 2015-2018 and 2018-2021. Mayoor School Ajmer was also recognised as one of the “Future 50 Schools Shaping Success” for Excellence in National & International Curriculum by the Fortune Magazine in the year 2017.